India has never allowed divergence to create disunity as its people always find an underlining unity, President Pranab Mukherjee said on Tuesday (May 3). India has never allowed divergence to create disunity as its people always find an underlining unity, President Pranab Mukherjee said on Tuesday (May 3) as he lauded filmmakers for making movies which truly reflect Indian character. 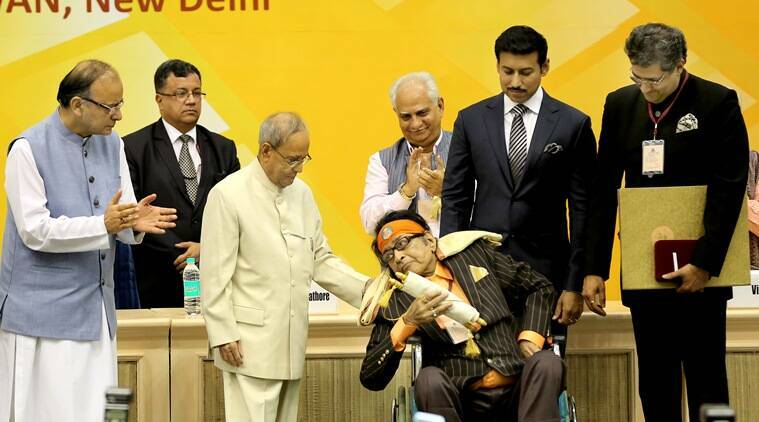 He was speaking at the 63rd National Film Awards ceremonywhere he conferred the Dada Saheb Phalke on veteran actor Manoj Kumar besides presenting other awards. celebrated divergence because always it finds an underlining unity,” he said. He expressed his gratefulness to Indian cinema and its doyens from past to present who are also contributing to make “Indian films truly reflective of Indian character of unity amidst diversity”. He also noted that the Indian film industry, though it has had its ups and downs, has made progress technologically and also was doing well financially. 2015, up from Rs 126 billion the year before. Even the external revenues have grown from Rs 8.6 billion in 2014 to Rs 9.6 billion in 2015. The awards ceremony was studded with stars including Best Actress Kangana Ranaut and Best Actor Amitabh Bachchan, whom the President referred to as a living legend. Mukherjee said he sometimes marvels at the varieties of Indian films and added that managing India in itself is a challenge as it is country having 1.2 billion people who everyday speak 122 languages, 1800 dialects, follow seven religions and belong to three major ethnic groups. It is a huge diversity living as one administrative system, under one Constitution and one national flag, he said. Referring to I&B minister Arun Jaitley, he said as the Finance Minister he must be extremely happy as the industry is contributing to the exchequer and helping him in its way in solving the “monumentous problems” that he faces while looking after the economy. Earlier in his speech, Jaitley said that the National Film Awards were “truly national” as a distinguished jury selects the best films from hundreds of movies in various categories. He said India’s diversity, different cultures and languages are displayed in this industry which is “multilingual and has come of age”.